As soon as ShiYan finished talking, he instantly controlled the Gravitational Field, moving it directly toward NingZe’s group in the lake. 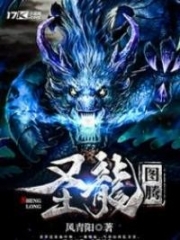 In the center of the lake, seeing the Gravitational Field coming, the three powerful teams of warriors suddenly displayed grave faces with their eyes stuck on ShiYan. In the Gravitational Field, there was a mix of different powers. The more powers that it had, the more intimidating the Gravitational Field would become. Although ShiYan only had the Third Sky of Nirvana Realm cultivation base, the energy in that Gravitational Field was extremely mighty. This energy was enough to terrify a Sky Realm warrior. ShiYan was hiding in the Gravitational Field then suddenly flew out when it got closer to NingZe’s group. Each Gold Silks in the Gravitational Field abruptly spread out crazily. Golden lights twisted with each other and filled the s.p.a.ce up fast. The faces of NingZe’s team changed dramatically. Being the Heavenly Palace’s warriors, they were obviously aware of how powerful the Golden Silks were. Even though they used Golden Silks to cultivate, they could only control their own Golden Silks. If others cultivated the Golden Silks, those Golden Silks might be lethal. Therefore, seeing the Gravitational Field that contained the Golden Silks rushing over, the people of NingZe’s group quickly dodged it. "Little rascal, you do whatever you want but don't come near us. Otherwise, don’t blame us for joining forces to kill you." In the center of the small lake, a Third Sky of Sky Realm warrior with a face full of scars suddenly stood up after he saw the Gravitational Field coming closer and closer. He grunted coldly and spoke up to warn ShiYan. Sitting on the ground, the other Third Sky of Sky Realm warriors also coldly looked at ShiYan with darkened faces. The lake was not large while the Gravitational Field that ShiYan controlled occupied a lot of s.p.a.ce. Once the Gravitational Field stormed into the lake, it would affect and severely injure all the warriors inside it. ShiYan indifferently smiled, nodded and said, "No worries. We just want a place in the lake. We will not mess with you." There were nine teams in the lake. Three of them had Third Sky of Sky Ream warriors. If he irritated them, he knew that the consequence would not look good. Therefore, he still controlled the Gravitational Field carefully, letting it move forward at a very slow speed. For those teams, as long as ShiYan’s group had the ability to replace NingZe’s group and didn’t affect them, they would not intervene. They would not mind if the people of NingZe’s group were alive or dead. "You are too contemptuous!" The face of the middle-aged Second Sky of Sky Realm warrior in NingZe’s group became cold. He suddenly grunted and moved aside to avoid the Gravitational Field which was getting close as he rushed out of the lake. Seeing that man take action, NingZe and the others in his group also knew that they had to make a move to avoid the Gravitational Field. Involving themselves in a fight with ShiYan could hopefully help them secure a firm position in the lake. 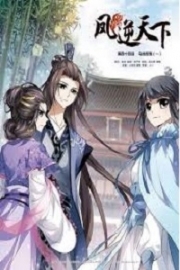 That man slightly moved as the others of NingZe’s group hesitated a little and then suddenly rushed out from the lake, turning into electric lights striking in the direction of ChiXiao and AiYa. "Finally you’re getting out," ShiYan coldly sneered at heart. He waited until NingZe’s group to get out from the lake to drill them into the Gravitational Field. The formerly slow Gravitational Field instantly became extremely violent, and its spinning speed became very fast, quickly covering the three Heavenly Palace’s warriors. Those three warriors had just gotten out of the lake. They didn’t think the Gravitational Field could get any faster. Thus, a slight carelessness had let them suffer the strong pulling force to the center of the Gravitational Field. Each Golden Silk wrapped and tied them up in a short time. In just one breath, among ear-splitting screams, these three Third Sky of Nirvana Realm warriors had been crushed into pieces and then violently driven up by the Gravitational Field, turning into smashed pieces of flesh. Other the warriors who were watching in the distance felt cold at heart. They looked at ShiYan with terrified faces, subconsciously moved backward, distancing themselves from this Gravitational Field. ChiXiao let out a big scream. A lot of smoke diffused from his body, covering a range of ten meters around him. In this thick smoke, bursts of violent energy fluctuations consistently came out one after the other. ChiXiao was in the smoke, raising his hands and releasing a silver band. 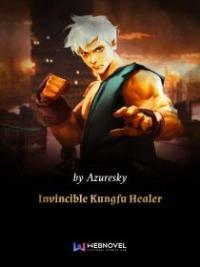 This ribbon split out in the air, shining brilliantly, and instantly wrapped a Heavenly Palace’s Second Sky of Sky Realm warrior, pulling him into the thick smoke. AiYa’s and CaiYi’s faces became cold. That Great Pervaded Money and a cl.u.s.ter of rings flew out altogether from these two girls’ hands, covering NingZe and the other two Heavenly Palace’s warriors in the bright l.u.s.ter. ShiYan burst into crazy laughter. The negative forces spread all over his body while his momentum increased significantly. Inside numerous starlight spots that he shifted toward NingZe, he released a blow of Life Seal that struck NingZe. NingZe coldly harrumphed; he didn’t believe that ShiYan, who was only in Nirvana Realm, could have the real strength to fight against him. He used his hand to cover the three green thumb rings on his hands. Instantly, two of them flew out as a strong soil element force also followed along. It seemed that thumb rings could stir up the earth power in Heaven and Earth. In the spin, a vast, magnificent Earth Intent Domain burst out from the three thumb rings. Crystal Profound Qi from NingZe’s fingertips all poured into those three thumb rings, enhancing their Earth Intent Domain's power, which made the three thumb rings release extremely violent energy movements that started to attack ShiYan. All things had a spirit. The Intent Domain of ShiYan’s Life Seal which implied the vitality of all spirits in Heaven and Earth suddenly crashed into the three thumb rings. Two kinds of violent energy movements which contained different martial Intent Domains collided. The impact of that collision discharged beautiful bright lights like fireworks, which shocked other people. Life was unprincipled. Every creature had its own uniqueness. As long as the creatures had consciousness, life then would become the most valuable a.s.set. When this Life Seal was released, some lives of human beings and beasts were vaguely visible. These living forms were exposed differently from this Life Seal and then split the fundamental Earth Intent Domain of those three thumb rings separately pushing the soil element force of those three thumb rings aside, preventing them from continuously using the Earth’s power. • Although ShiYan was only in the Nirvana Realm, his comprehension of the Life Intent Domain seemed to be more profound than NingZe’s enlightenment of the land conception. This supernatural profound meaning originally didn’t distinguish the level of a warrior’s strength. The high or low concept of an Intent Domain entirely depended on how a warrior understood the realm. After having entered this marvelous world, ShiYan was still fighting. At the critical point of life and death, although he was not afraid of death, he still tried to save his own life. His understanding regarding the desire to live of every living creature was obviously suitable with the innate character of the Life Seal's Intent Domain. 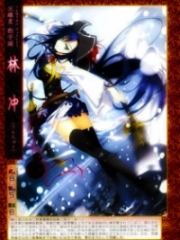 After having gone through the rampage and using the power imposed on the Life Seal, ShiYan was already stronger than NingZe. His comprehension of Intent Domain was a little more profound than NingZe’s. Thus, the intimidation of this Life Seal naturally had the upper hand. The Life Seal determinedly split NingZe’s Intent Domain and covered the three thumb rings’ light. When the Life Seal submerged the three thumb rings, the energy inside the Life Seal also drilled toward NingZe. NingZe’s Intent Domain became inferior, and his confidence was damaged. The Life Seal struck his whole body and sent him flying. When he was still in the air, his body produced ‘crackling’ sounds. His body’s bones didn’t seem to be able to bear this blow and suddenly cracked open. NingZe’s body was full of blood even before landing. His face was totally pale, and his spirit was greatly weakened. "So this is what a Sky Realm is like?" ShiYan coldly sneered. "Your comprehension of martial Intent Domain is still shallow. Otherwise, I wouldn’t have been able to crush you when I am only in the Nirvana Realm. If your Intent Domain weren’t dissipated, your three thumb rings could have still condensed the Earth’s power, and thus, it would not be easy for me to hurt you." NingZe suddenly spewed out a mouthful blood. His spirit was totally off. Not only did ShiYan use the Life Seal to bombard NingZe but he also used words to destroy his will. If a warrior wanted to display his full strength, self-confidence was essential. When a person could not believe in himself, he would hardly release all of his power even though he still had enough strength. ShiYan used words to attack and destroy NingZe’s confidence, giving him thoughts of being inferior to ShiYan. Once this kind of thought appeared in NingZe’s mind, it would be difficult for him to exert all of his strength. He tried to protect himself but failed because his defensive Profound Qi became chaotic all of a sudden. NingZe’s chaotic Profound Qi allowed the impact of ShiYan’s Life Seal to burst out inside NingZe’s body, making more of his bones explode. At this moment, NingZe couldn’t help but spit out a mouthful blood; his whole body was exhausted. Spurting blood meant that NingZe no longer had confidence. This blow affected not only this fight but also the rest of his life. Seeing NingZe falling on the ground and spitting out a mouthful blood because of ShiYan’s words, the Third Sky of Sky Realm warriors in the lake all shook their heads, knowing that NingZe was totally screwed. They all looked at ShiYan with grave seriousness. Most of the warriors could destroy a person’s body. However, destroying a person’s will required acc.u.mulating momentum, great wisdom, and a determined and ruthless mind. ShiYan was the type of person who had absolute self-confidence. Moreover, he firmly believed that he was better than anyone and was not easy to yield to other people because of any difficulties. This kind of warrior was the most terrible. "You are not my match." ShiYan displayed a cruel face as he calmly walked toward NingZe. He was not hurried to take action but continued his degrading words. NingZe’s face looked horrified. He blankly sat there while his mind was panic with a confused look. 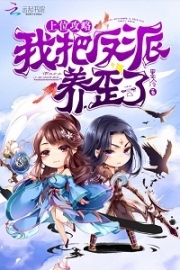 You're Read God Of Slaughter Chapter 393 online at NovelOnlineFull.com. You can use the follow function to bookmark your favorite novel ( Only for registered users ). If you find any errors ( can't read,broken links, can't load photos, etc.. ), Please let us know so we can fix it as soon as possible. And when you start a conversation or debate about a certain topic with other people, please do not offend them just because you don't like their opinions. You're reading God Of Slaughter. This manga has been translated by Updating. Author(s): Ni Cang Tian,逆蒼天. Already has 4628 views. 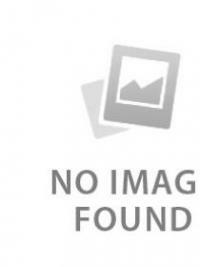 Current Time is 22-Apr-2019 04:36:25 AM.